The way we buy our groceries and prepare our food has evolved over time. As people started settling down and bringing produce to sell and exchange with others, markets became the central civic space for social interaction. When cities developed, the process became indirect involving traders as middlemen, that link grew weaker and in the era of the modern supermarket, there is virtually no human interaction at all. Even cooking is an optional activity with stores doing huge business in ready to eat meals. This piece suggests that farmers’ markets, community gardens, urban and backyard gardens would bring back that social engagement. The idea is interesting despite some assumptions such as the identification of fresh and organic food with farmers’ markets, and conventional produce coming from industrial farms. According to the USDA, 97% of the farms in the US are family owned and organic produce is readily available in most supermarkets. While the popularity of farmers’ markets has certainly risen in recent years, recent research found that, of the different options for food sourcing, farmers’ markets were the least preferred. So while they do not fulfill all the requirements for grocery shopping, the reason for their proliferation might just be the social setting they provide. 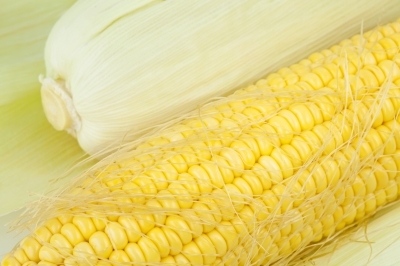 #Farming Friday 50: What’s In My Corn? Are you looking forward to some grilling this weekend? But you are worried about all those news reports on Bt corn and what’s in them? You could just buy organic, but maybe, like me, you are watching the budget and the price difference might make you pause. So, if you catch yourself standing in the produce section not sure what to do, and wondering what on earth is glyphosate and why are farmers using it, if it is as awful as the meme in your newsfeed suggests, hear it straight from the source: a Minnesota farmer on why she grows GMO corn.